The situation at the Fukushima nuclear plant in Japan is extremely unlikely to pose an environmental risk to the UK. 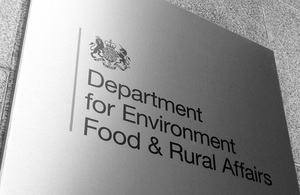 Current assessments suggest that the situation at the Fukushima nuclear plant in Japan is extremely unlikely to pose an environmental risk to the UK, but Defra is continuing to monitor developments. For further information on the UK’s response to overseas nuclear issues please visit www.decc.gov.uk. For more information on the UK’s response to the earthquake and tsunami which struck Japan please visit www.fco.gov.uk.